(St Petersburg, FL)- The third weekend of January marks the occasion for the annual J/Fest St Petersburg Regatta, hosted by the St Petersburg YC in Florida. 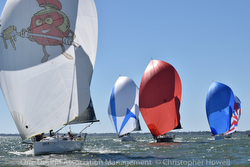 Sailing will take place from January 25th to 27th, with the teams of J/88s and J/111s racing on Tampa Bay. The regatta represents the 2019 J/88 Midwinter Championship, with a half-dozen crews participating from the Midwest and the Northeast. Many top crews in the class will be looking forward to a break from the frigid temperatures up North. No one would be surprised if Andy Graff’s EXILE team is already on the road headed south from Chicago, IL to escape the sub-zero temperatures in the upper Midwest! From the northeast, watch for these teams to be near the top of the leaderboard; Iris Vogel’s DEVIATION from New Rochelle, NY; Dave Tufts’ GAUCHO from Rochester, NY; and Mike Bruno’s WINGS from American YC in Rye, NY. Similarly, the J/111s will be hosting their Midwinter Championship for the fleet of four boats. 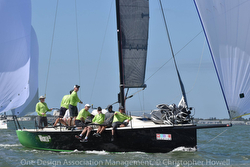 Last year’s winner- Jeff Davis’ SHAMROCK from Cleveland, OH- will have to contend with battling a fellow Cleveland team for top honors- Rob Ruhlman and family aboard their famous SPACEMAN SPIFF. In addition, Andrew & Sedgwick Ward’s BRAVO from Shelter Island, NY and Ian Hill’s SITELLA from Hampton, VA will be mixing it up with the Cleveland gang for class honors. For more J/FEST St Petersburg Regatta sailing information Add to Flipboard Magazine.